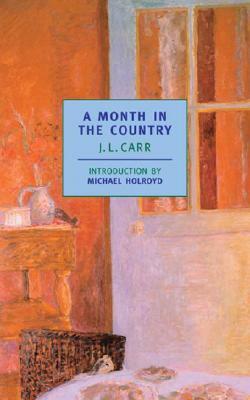 James Lloyd Carr was born in 1912 and attended the village school at Carlton Miniott in Yorkshire. A head teacher, publisher, and novelist, his books include A Day in Summer (1964); A Season in Sinji (1967); The Harpole Report (1972); How Steeple Sinderby Wanderers Won the FA Cup (1975); A Month in the Country (1980), which won the Guardian Fiction Prize and was shortlisted for the Booker Prize; The Battle of Pollock’s Crossing (1985), also shortlisted for the the Booker Prize; What Hetty Did(1988); and Harpole & Foxberrow General Publishers (1992). He died in Northhamptonshire in 1994. Michael Holroyd is the author of acclaimed biographies of Lytton Strachey, Bernard Shaw, and Augustus John. He has also written a memoir, Basil Street Blues. He lives in London with his wife, the writer Margaret Drabble.